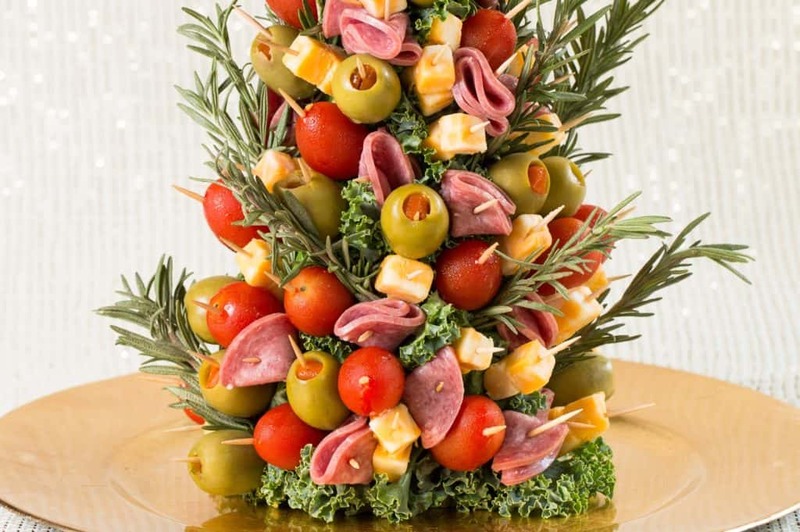 To make an appetizer tree purchase a cone shaped foam form from a local craft store. Wrap the form with kale using toothpicks to secure. Now add salami slices folded in 1/4ths and secure with a toothpick. Continue with olives, tomatoes and cheese cubes. Fill the form up and then use the rosemary to fill in where necessary.